50 pages! 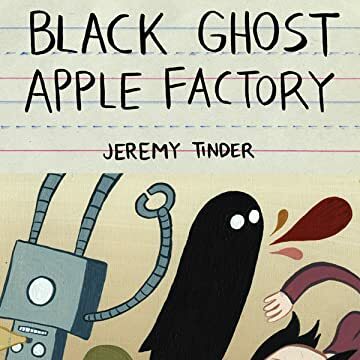 Black Ghost Apple Factory is a collection of mini-comics by Jeremy Tinder. Gathered from 2004-2006, these comics range from touching and somber to downright silly. In the title comic, a little black ghost has his head in the clouds at work, fixating on a hook-up from the previous evening. 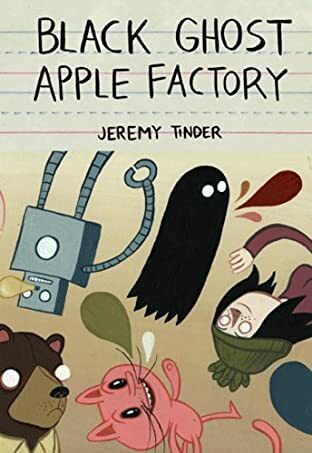 Another comic ends with the author, Tinder, having his face eaten by a grizzly bear. This volume is tightly-packed with stories that will touch your heart and make you realize you're not the only one out there that has these thoughts running through your head. Also contains never-before-seen material.